At Monterey County Eye Associates, we offer comprehensive eye care for patients of all ages, including the very youngest members of your family. Our wide range of pediatric eye care procedures includes treatment for blocked tear ducts. Blocked tear ducts, a condition that affects roughly one-third of all newborns, can cause your infant or toddler to experience chronic tearing and recurrent eye infections. Fortunately, in many cases, blocked tear ducts spontaneously open within eight to ten months of birth. However, if your infant or toddler is still experiencing excessive tearing at this point, our eye care professionals can resolve the issue through pediatric ophthalmology for blocked tear ducts at our Monterey, CA practice. In a simple procedure, our doctors can use a small probe to open the tear duct and facilitate the proper management of tears. If your child displays any of the symptoms of blocked tear ducts, we encourage you to schedule an appointment at Monterey County Eye Associates today. Blocked tear ducts may not be immediately noticeable, especially since infants do not produce tears for the first few weeks of their lives. Even then, symptoms might only be apparent when your baby cries and might be mistaken for other issues. 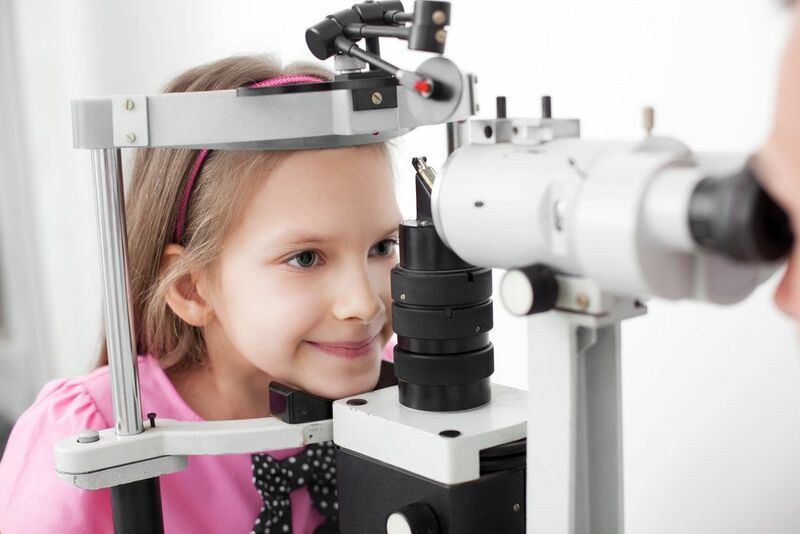 This is why it is important to have your child diagnosed by a professional eye doctor who can perform a thorough examination of the eyes and rule out other possible conditions. How Are Blocked Tear Ducts Treated? As stated above, blocked tear ducts are fairly common and usually open spontaneously. In the meantime, we can show you how to unblock your child’s tear ducts non-invasively through gentle massage of the nasolacrimal duct. By doing this two to three times a day, along with the application of antibiotic eye drops and cleaning of the eyelids with warm water, you will be promoting the healthy drainage of tears and the eventual permanent opening of the tear ducts. If, however, massage and antibiotic eye drops do not prove effective by the time your child reaches ten months of age or so, we may recommend tear duct probing. This simple procedure entails the use of a thin metal probe to open the obstructed tear duct. The duct is then flushed with fluid to ensure that the passageway is completely clear. Usually, a single procedure will suffice; however, in some cases, a second or even third procedure may be necessary. To learn more about pediatric ophthalmology for blocked tear ducts, please contact Monterey County Eye Associates today.